They say that internal beauty is more important than the external one. I agree with that as external appearance becomes more appealing when your also beautiful within, much more if you are also clean within. Is being clean the same as being healthy? I strongly believe so but it becomes difficult to achieve when we are engaged to unhealthy diet or when we are deceived by "healthy" foods out there but in fact they're not. We need food rich in fiber like fruits and vegetables but it's not enough to flesh out the toxins accumulated in our body as a result of unhealthy diet. I'm glad that I was introduced to FiberHealth from Spectrum Naturale. FiberHealth is an organic dietary supplement that promotes regular bowel movement daily. It is a formulated product composed of different components such as soluble fibers, insoluble fibers, psyllium, twelve (12) strains of good bacteria, fructooligosaccharides or prebiotics, complex enzymes and natural laxatives that help detoxify the body and remove the stock poop in your intestines. A clean colon will result to clean bloodstreams. Clean bloodstreams mean healthy glowing skin. This is FDA approved and can be taken in with maintenance medicines and/or different diet methods. Aside from colon detoxification, it also helps enhance your nutrients absorptions, helps remove parasites, and gives you billions of probiotic supplements. The capsule costs Php 15.50 per piece, and is available in Mercury Drug, South Drug Store and Watson's branches nationwide. This is recommended for those with age 12 years old and above. If you wanted to detoxify, you can take 3 capsules an 1 hour before breakfast or lunch on an empty stomach with lots of water and another 3 capsules an hour before dinner for 15 days. On the 16th day, you will move on to the maintenance mode, you just need to take 2-3 capsules an hour before eating dinner. If weight loss is your goal, take 5 capsules an 1 hour before breakfast or lunch on an empty stomach and another 5 capsules an hour before dinner. Taking in Fiberhealth an hour before meal makes you feel full, suppressing your appetite. They also have a juice that costs Php 500 for 10 sachets per box which is equivalent to 1.2 liters and can serve 4-5 glasses. It has fiber but doesn't have detoxifying properties and is safe for kids. It's in Guava and Guyabano flavors, so good that I even finished a liter of it. It uses stevia as its sweetener. 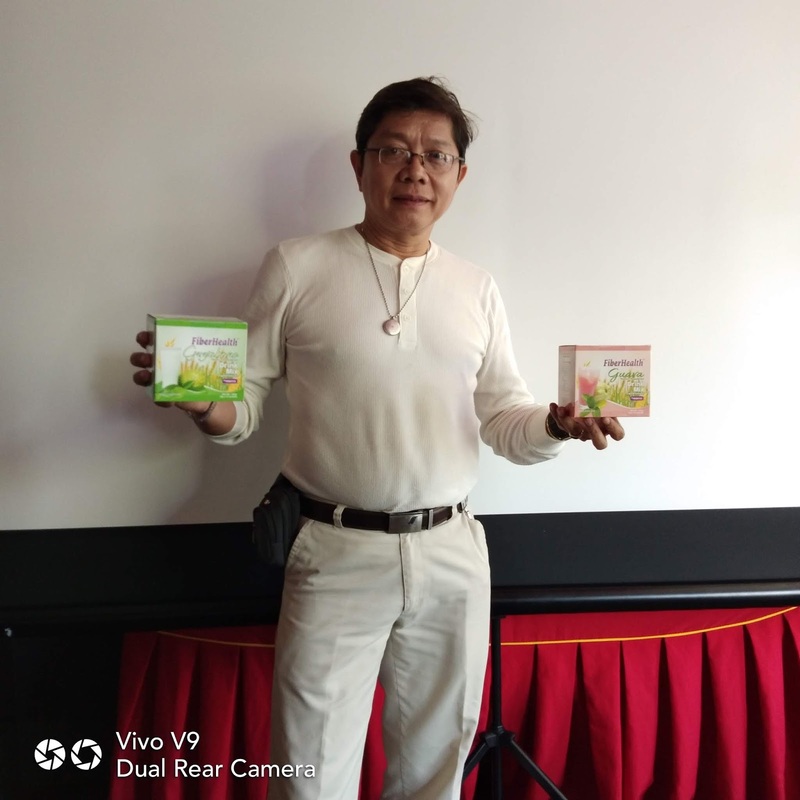 According from the CEO of Spectrum Naturale, Mr. Victor Lim it’s not “You are what you are eating” but should be “You are what you are absorb.” He explained that even if you keep on eating right but if you do not absorb it well, the process is useless. Nutrients from the food you eat may not utilized efficiently because of one’s dirty intestinal lining. 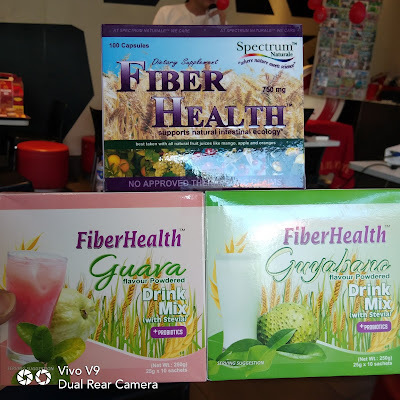 So if you wanted to enjoy a long life with your loved ones, commit a healthy lifestyle and partner it with FiberHealth.